DeShonda is a Blogger/Vlogger, Freelance Writer and Elementary School Teacher.DeShonda contributes to Macgproductions where she is the Editing Manager and Writer. At K – Drama Paradise, DeShonda writes reviews on the latest Korean Dramas, Actor/Actress Spotlights, K-Pop and more. DeShonda also currently contributes to DramaFever, and Seoul Wave. DeShonda is also a You Tube Personality. Her channel K – Drama Paradise focuses on Korean Entertainment such as K-Drama Reviews, K-Movie Reviews, K-Pop Reactions, And Korean Subscription Unboxings. DeShonda is an active and member of Delta Sigma Theta Sorority Inc. In her spare time, DeShonda love technology, web design, travel, reading, cooking, watching movies, listening to music and spending time with her Shih Tzu/Bichon Frise Mix, Romeo. Hello to all of my Dramatics out there! 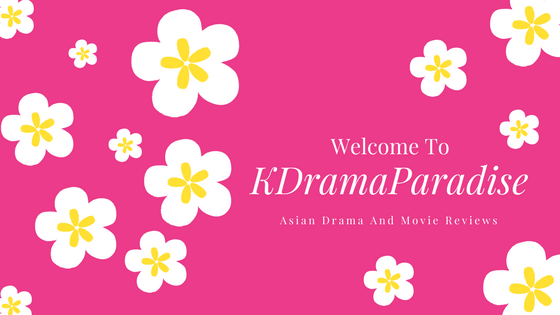 Welcome to my blog K – Drama Paradise. I have been a K-Drama fan since 2008! Some of my favorite Dramas are Boys Over Flowers, Coffee Prince, Secret Garden, My Love From Another Star, Heirs, and many more. Some of my favorite K-Drama actors/actresses are: Kim Woo Bin, Seo In Guk, Lee Min Ho, Lee Dong Wook, Rain, Jung Eun Ji, Kang So Ra, Choi Yeo Jin, and many more. I am also a fan of K Variety shows such as: Running Man, Infinity Challenge, A Song For You, We Got Married, The Return Of Superman, and many others. I am also a very big K-Pop fangirl! I love everybody, but I few of my favorites are BIGBANG, VIXX, Block B, Shinee, Super Junior, Girls Generation, AOA, BAP, B1A4, 2NE1, and many others. I hope you all join me on this K-Drama journey! Remember To Keep Calm And Drama On!